Located in El Paso's booming east side shopping corridor, Gateway Plaza is a 16,000 square foot retail shopping complex consisting of six retail suites. Located at 10705 Gateway Boulevard West, between Lomaland Drive and Yarbrough Drive, right off of I-10. 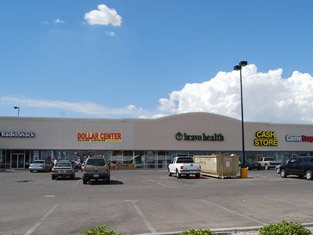 Gateway Plaza is perfectly situated to attract the ever growing and important consumer base of East El Paso. Built in 2004, this outstanding shopping center has fantastic visibility from traffic on Gateway Boulevard West and from I-10. 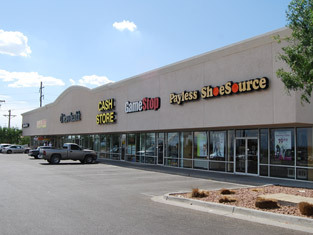 With a unique and professional tenant mix and abundant parking area, Gateway Plaza is a fantastic East Side El Paso location for both local and national business interests.